For the last 26 months consecutively, we have provided 30-min overviews of security “stories” on the last Tuesday of the month. Today’s webinar was no exception. Here are some of the highlights shared from “This Month in Cyber Security – April 24, 2018” which is also recorded (video 26:07). For a little fun, we provided this in quiz format! a. Reminds us that security exercises begin with IDENTIFY-ing data and value thereof. b. 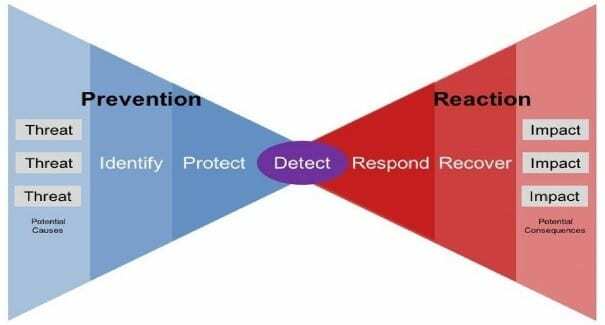 Illustrates DETECT-ion as central to your security strategy and a bridge to reacting. c. Demonstrates equal value of Reaction to Prevention…a common oversight in organizational security strategies. a. 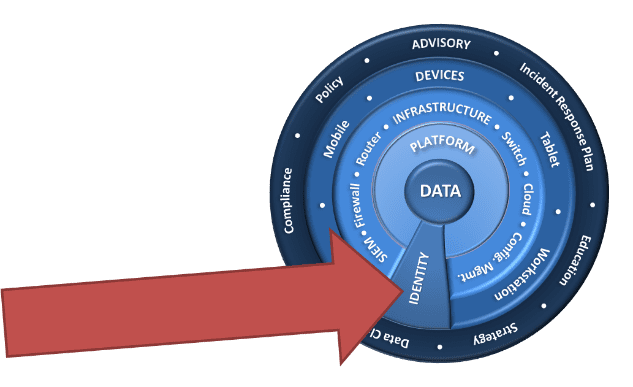 Identity plays a critical role through all layers of security controls. b. The arrow was an oversight and missed by our editing group. c. The whole thing is simply a maze in disguise and we needed a “Start Here” arrow. a. Prove that castles really are an effective housing option for modern datacenters. b. Protect against modern threats such as Phishing/Credential theft, SaaS applications and BYOD devices not currently protected by network perimeters. Scenario: Actively compromised mailboxes with logins often from foreign countries. The intruder is monitoring emails for discussions of financial matters and intercepting / replying as the owner with falsified bank routing details. Furthermore, they are protecting notifications with mailboxes rules intercepting warnings saying “phishing, hacked or other common terms”. If you need a 2 minute overview of what we’re doing – check out this video. For the answer key to above (or if you prefer to just get started) give me a shout or hit info@peters.com and we’ll set up a time to talk it through.